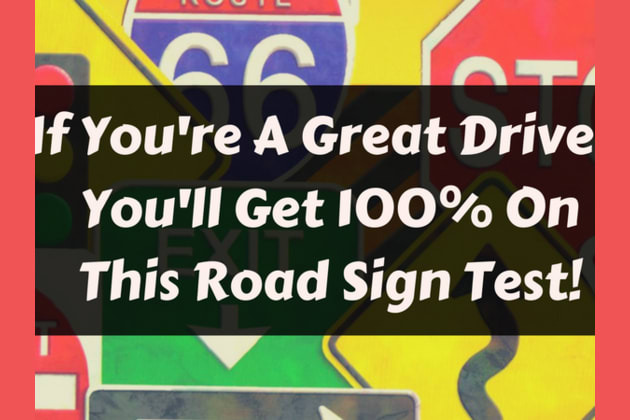 If You're A Great Driver, You'll Get 100% On This Road Sign Test! What does this road sign mean?? Amazing! You're a phenomenally great driver! Dizzang, you really know the rules of the road! Wanna go on a road trip? We'll bring the snacks, and you can drive, of course! Let's fly down Route 66 with the wind in our hair... obeying every road sign we pass, of course! Um. Do you have your driver's license? Sounds like it's time for a certain somebody to go back to driver's ed. And that certain somebody is you, my friend. It's okay! Driving is hard, and a little scary at first, but with lots of practice you'll be one of the best on the road!